Samantha Pollack already knew a lot about Mayo Clinic history. After reading a book about the role women played in shaping the organization, she was inspired to make sure others learn from history as well. Every so often, we come across a story that makes us realize we should have applied ourselves more in our formative years. (OK, so maybe it's more like once a week.) 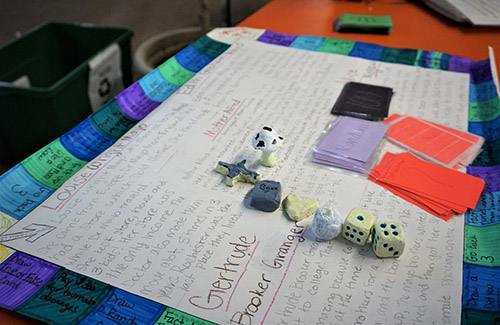 This week's wistful reflection comes courtesy of Samantha Pollack, a seventh-grader from Henderson, Minnesota. 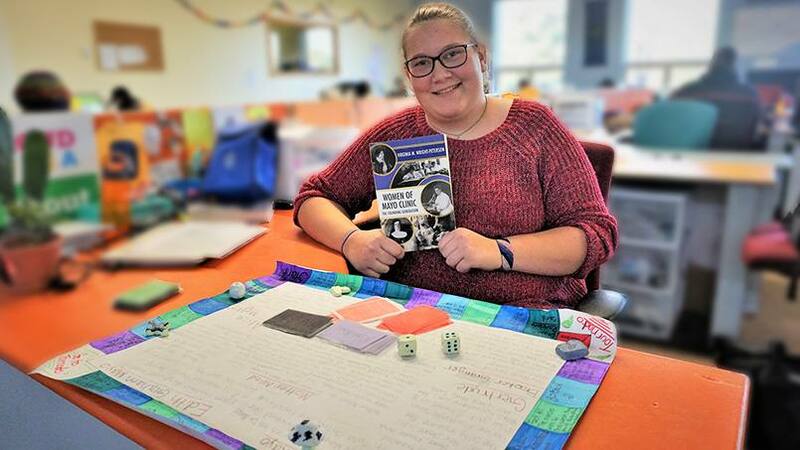 Samantha recently took her love of reading, and in particular the book, Women of Mayo Clinic: The Founding Generation, to another level by using it as the foundation for a new board game. Which she then used as her school project. The story goes like this. Though just a seventh-grader, Samantha has been surrounded by history her entire life, thanks to her mother's work as a tour guide at the W.W. Mayo House in Le Sueur, Minnesota. (For those of us who aren't history buffs, that's the home Mayo founder William Worrall Mayo, M.D., and his wife, Louise Mayo, built for themselves in 1859, a few years before moving to Rochester.) "I would go with my mom every weekend while she did tours," Samantha says. "I'd sit and wait in the upstairs, but the house is small, and I could hear everything. I would often go on the tours, too, but when the book came out, I thought I may as well read it while I'm waiting." Before reading the book, Samantha says she had "no idea" what kind of impact women have made on Mayo Clinic. And after she finished reading, she says she decided to turn the book into a school project to, in part, help the women of Mayo Clinic receive even more credit for their work and contributions. "Mayo Clinic is named after the brothers, but if the women had not done what they did, Mayo Clinic may not even exist," Samantha says. An apple represents Edith Graham Mayo, the first professionally educated nurse in Rochester. A heart represents Alice Megaw, a nurse who developed new ways of administering and monitoring anesthesia. A mushroom represents Louise Wright Mayo, a self-taught botanist who produced medications and looked after Dr. W. W. Mayo's patients when he was out of town. A book represents Gertrude Booker Granger, the first female physician hired by the Mayo brothers. A cross represents Mother Alfred Moes, the strong-willed founder of the Sisters of Saint Francis of Rochester who was instrumental in establishing Saint Marys Hospital. Samantha, who has dreams of being a writer (good choice), an actress or a TV personality, says the women in the book inspire her. "These women helped create something huge," she says. "The women of Mayo Clinic are empowering and encouraging. These women did amazing things, and it makes me realize I can, too." You can do something amazing by sharing your comments below. Then use the social media tools atop this page to share this story with others. Read more about Mayo Clinic's History & Heritage.